Nestled between two runways, at the world’s busiest airport, you’ll find an unlikely resting place. 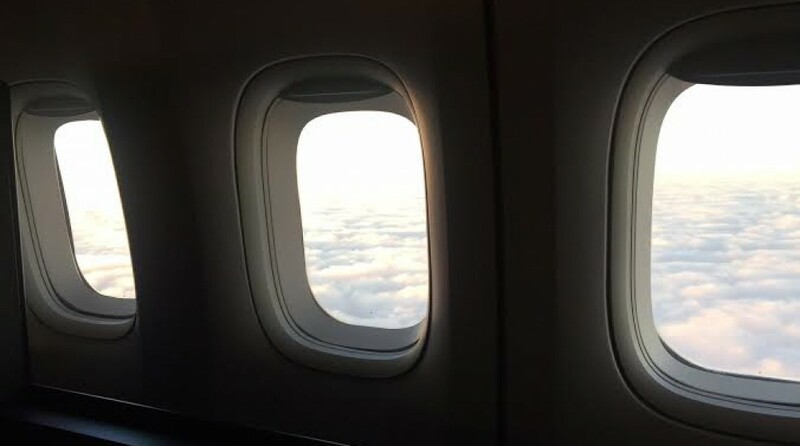 Between the takeoffs and landings of RJs and jumbo jets you’ll find a place that’s serene, peaceful, and reflective. It’s the Flat Rock Cemetery. Having lived in Atlanta in the early 90s, we knew of this cemetery and the area that surrounded it. During the early 90s, and before the latest airport expansion took place, this area was home to many families. Single family homes, cottages, and apartment buildings were shaded by oaks and pecan trees. Today this area is unrecognizable. Gone are the homes, schools, parks, and most of the trees. One thing that hasn’t changed is the Flat Rock Cemetery. 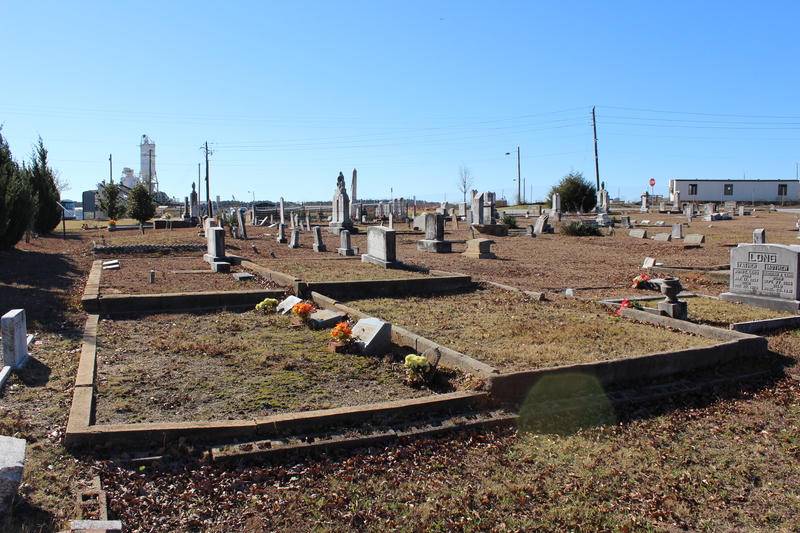 We visited the Flat Rock Cemetery recently to take a look around. And here’s what we learned. The Flat Rock Community was settled just before the Civil War by inhabitants who were farmers. In the year 1872 they establish the Flat Rock Baptist Church and erected the first building in 1875. Over the years the congregation grew. 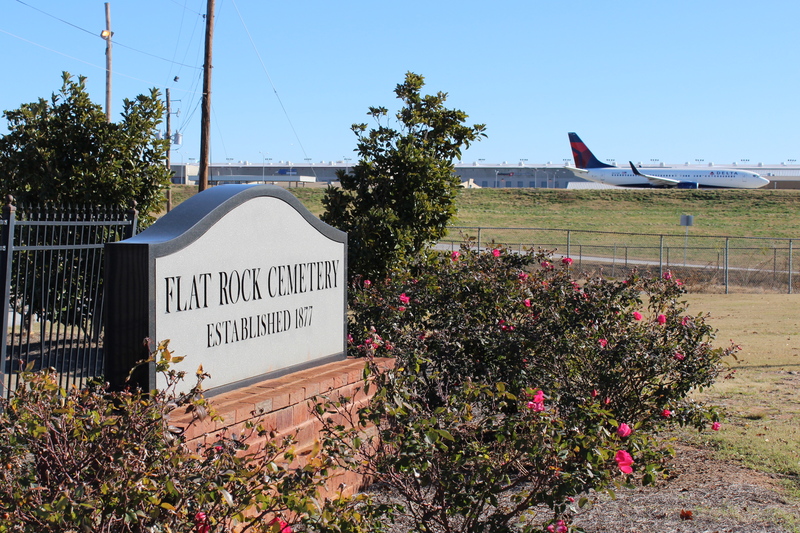 However, in the 1960s as the Atlanta Airport began to expand the congregation of Flat Rock Baptist began to dwindle. By 1970 the land of Flat Rock Baptist, except the cemetery, was sold to the City of Atlanta. The oldest marker is from the year 1877. While at the Cemetery one of the most profound moments was seeing the grave markers for the Thrailkill children. Four of their children all passed away within the first year of their lives. The medium tends to think it may be one of the the children. I know many people don’t believe in this type of phenomena, and this is understandable. All I’m doing is reporting what was observed on this visit to the Flat Rock Cemetery. The next time you’re in Atlanta and have time we encourage you to swing by and take a look around. Not only is this a historical place and peaceful place, it’s also a great place to watch planes take off from the world’s busiest airport.